President Trump took over in 2017 with nearly $20 trillion of debt. He’s faced headwinds from the Federal Reserve (FED) which have increased interest rates by more than one percent since the 2016 election. In spite of this, President Donald Trump’s debt is half that of Obama’s at the same time in their respective Presidencies. The US Treasury maintains an inventory of the daily amount of US Debt outstanding. The US Debt since President Trump was inaugurated on January 20th, 2017 through April 12, 2018, has increased by $1.1 trillion. On inauguration day the debt was at $19.9 trillion and on April 12, 2018 the debt stood at $21.1 trillion. Although $1.1 trillion is a lot of money added to the debt, it is half of what President Obama added during the same time frame in office. Where President Trump has increased the US Debt to date by only 5.6% , Obama increased the debt by 20.7% at this time in his Presidency or by $2.2 trillion. President Obama inherited a US Debt amount of $10.6 trillion on his inauguration and increased it $2.2 trillion by April 12, 2010. 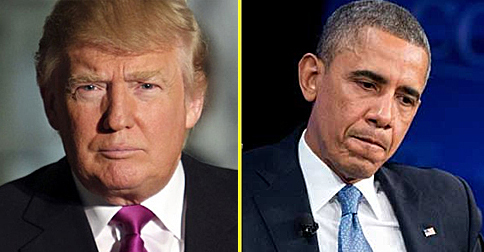 Obama increased the US Debt amount by $1.1 trillion more than President Trump in the same respective time in office. In addition Obama benefited from all-time low interest rates. Right after Barack Obama was elected President, on December 16, 2008, the Federal Reserve (The Fed) lowered the Fed Funds rate by an entire percent, from 1% down to 0% . The Fed had not lowered the Fed Funds rate by such a large amount (1% ) since at least before 1990, if ever. The Fed kept this 0% rate for most of Obama’s eight years in office. CNBC reported in December 2015 that President Obama oversaw “seven years of the most accommodative monetary policy in U.S. history” (from the Fed). 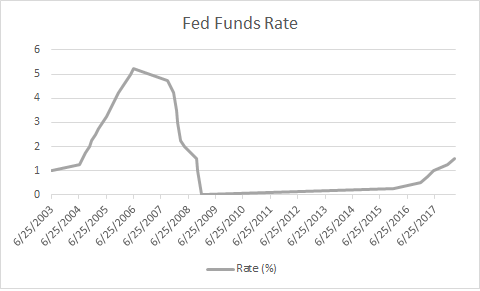 The Fed Funds rate was at zero for most of Obama’s time in office. Finally, in December 2015 the Fed announced its first increase in the Fed Funds rate during the Obama Presidency. The only Fed Funds Rate increases after were after President Trump was elected President. The Fed increased the Fed Funds Rate on December 14, 2016, March 15th, 2017, June 14, 2017, December 13, 2017, and again this year on March 22, 2018. Five times the Fed has increased rates on President Trump since his election win after doing so only once on President Obama late in his 2nd term. Increases in the Fed Funds Rate increase the cost of borrowing. With $20 trillion in debt, a 1% increase in interest payments equals $200 billion in annual interest payment increases. President Obama benefited from the lowest possible interest rates possible for most of his eight years and in spite of this, nearly doubled the US Debt from $10 trillion to nearly $20 trillion. The MSM won’t tell you but President Trump’s US debt increase is half of that of Obama’s. America is moving in the right direction under President Trump.